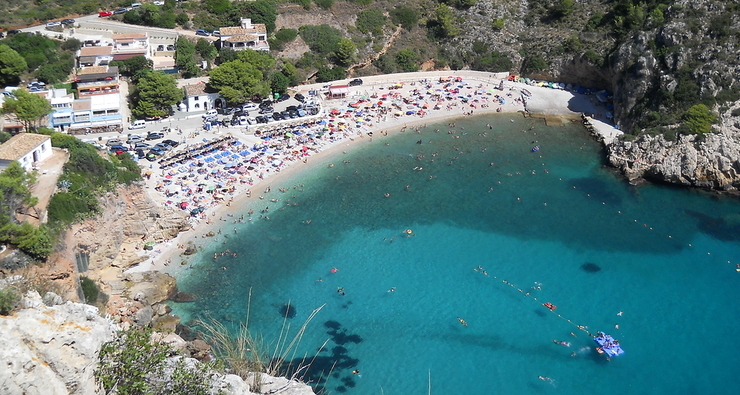 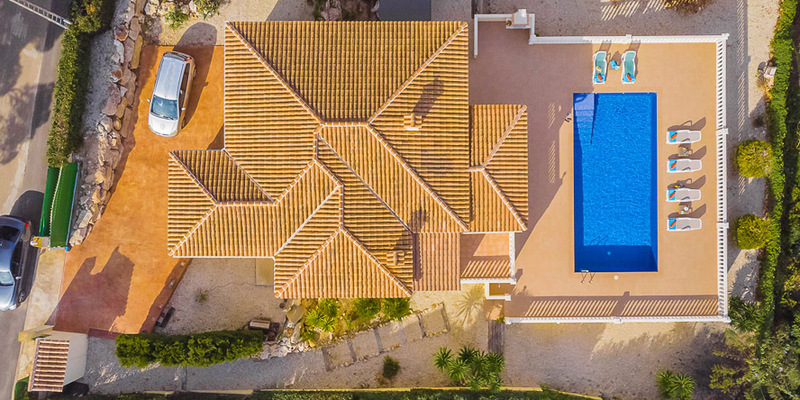 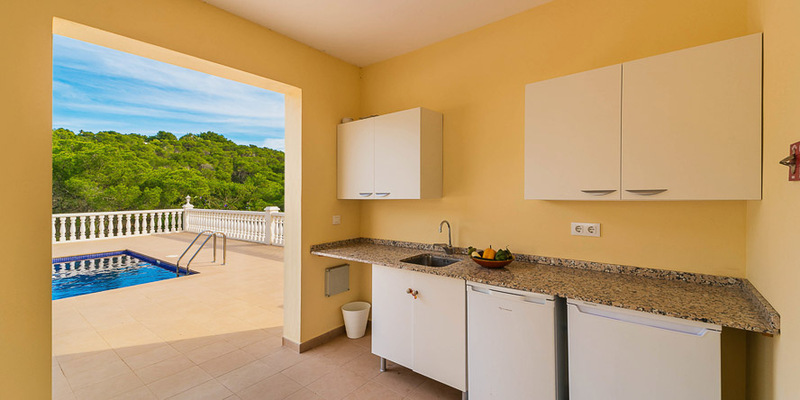 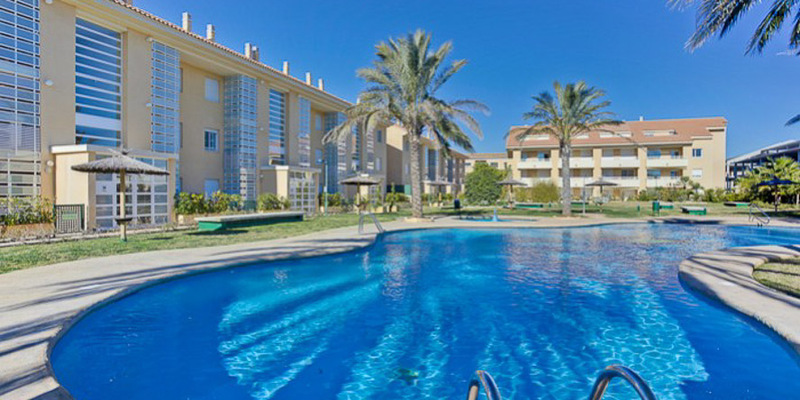 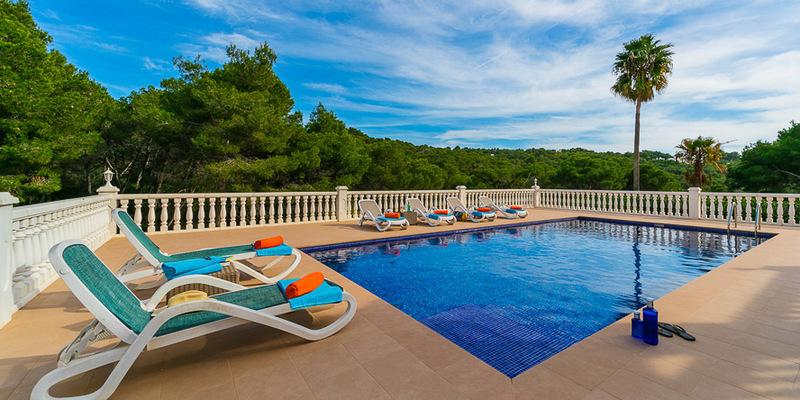 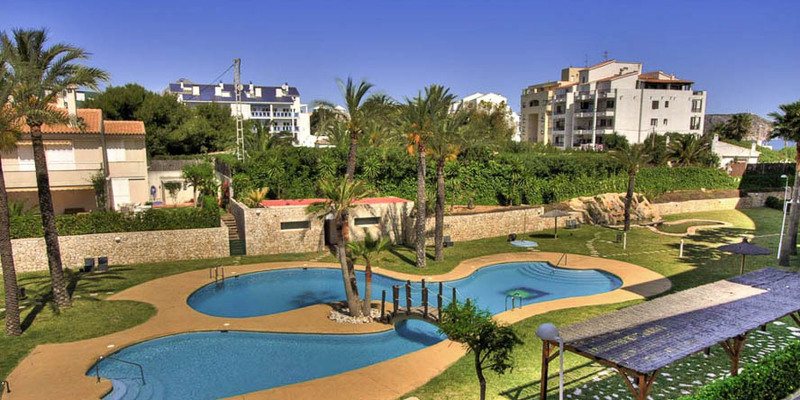 Villa Llesna is located in the Costa Nova area of Javea. 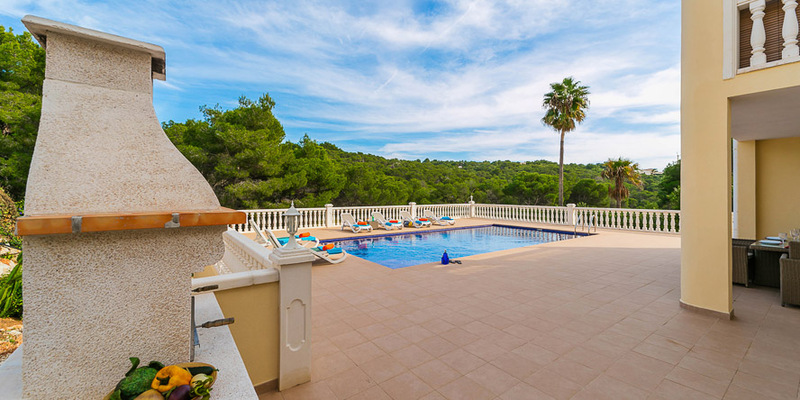 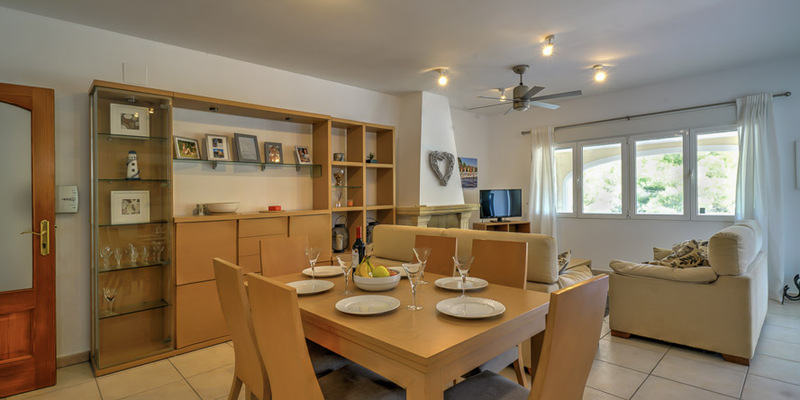 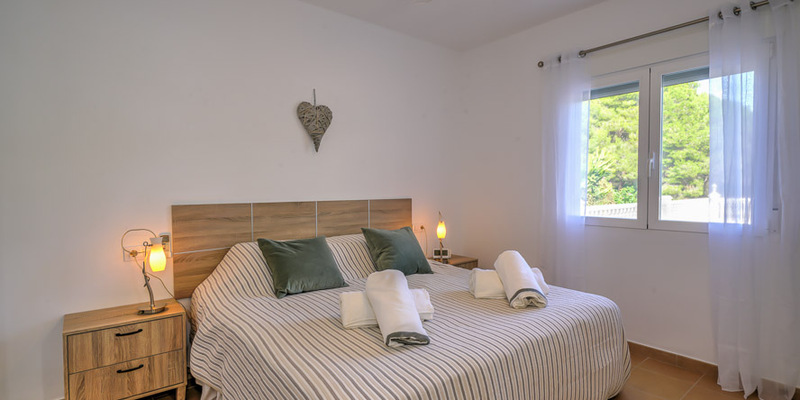 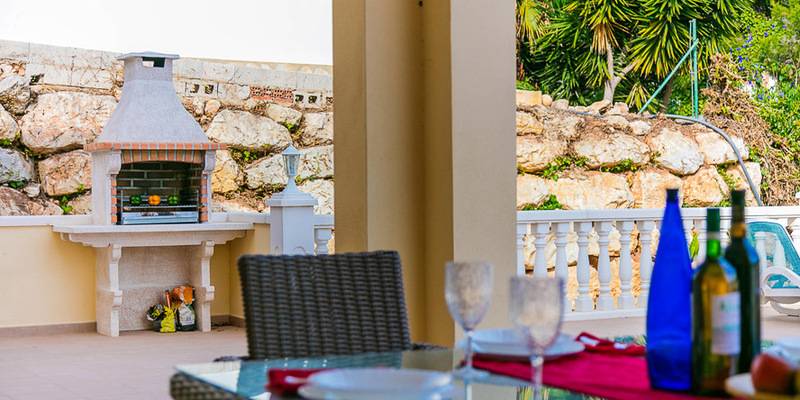 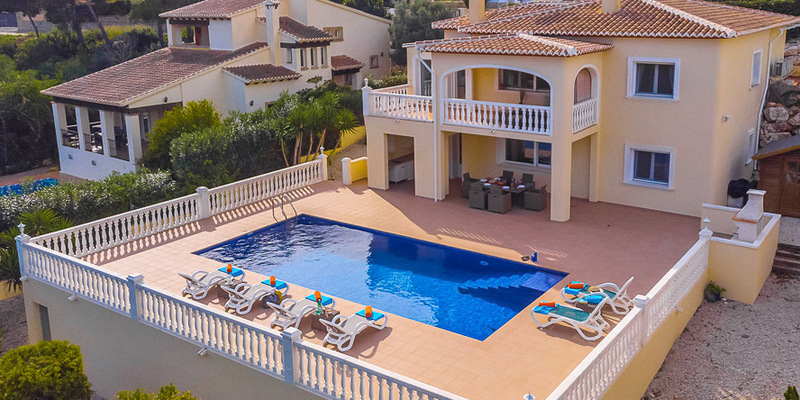 The villa has five bedrooms, three bathrooms and sleeps 10 people. 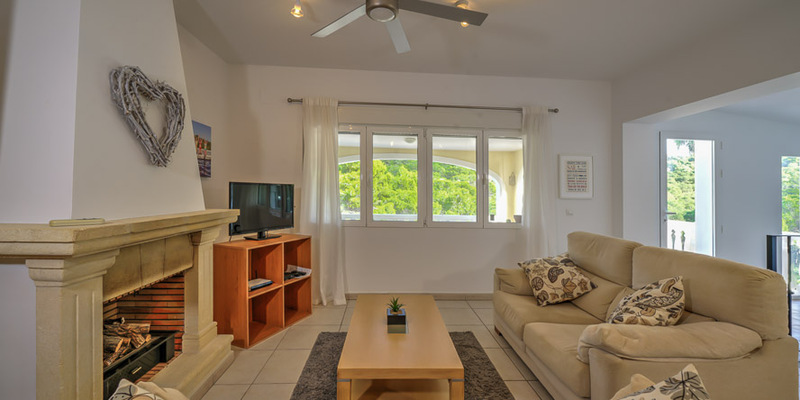 On entering the villa there is a hallway and leading off the hall is the large living / dining room which has air-conditioning and satelite TV. 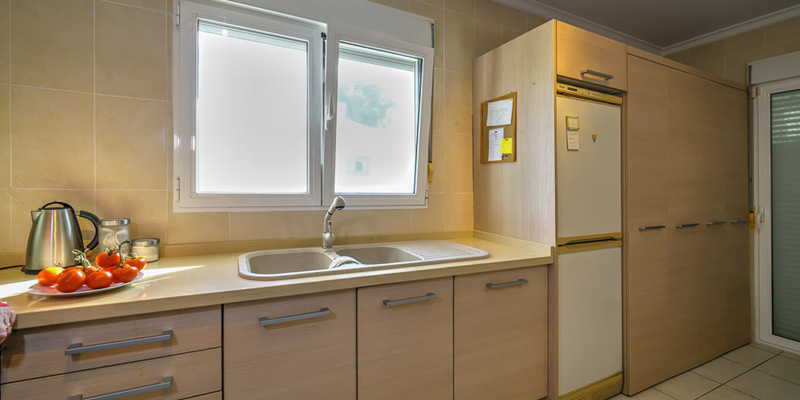 It is well furnished and very comfortable. 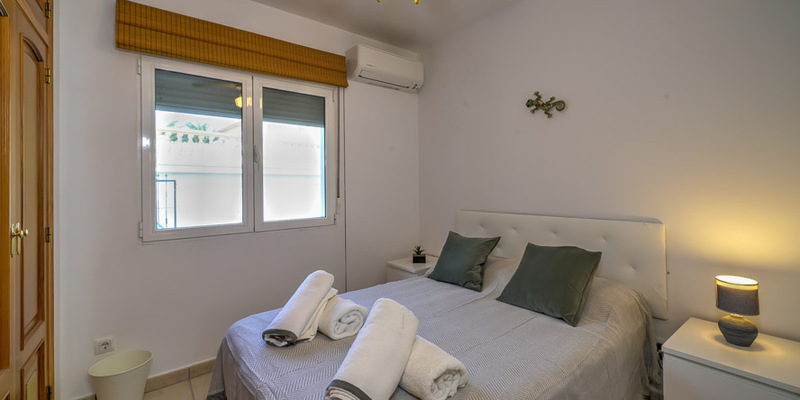 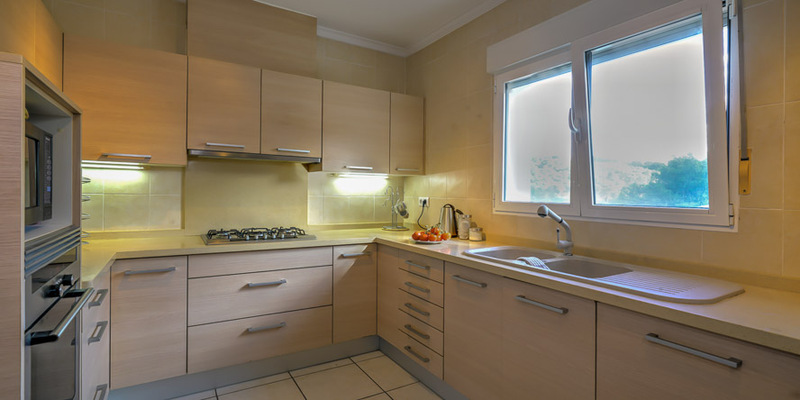 The kitchen is modern and fully fitted with a dishwasher, oven hob extracter, fridge freezer and microwave etc..
On this same level there are four bedrooms and two bathrooms three of them are double rooms and one is a twin bedroom. 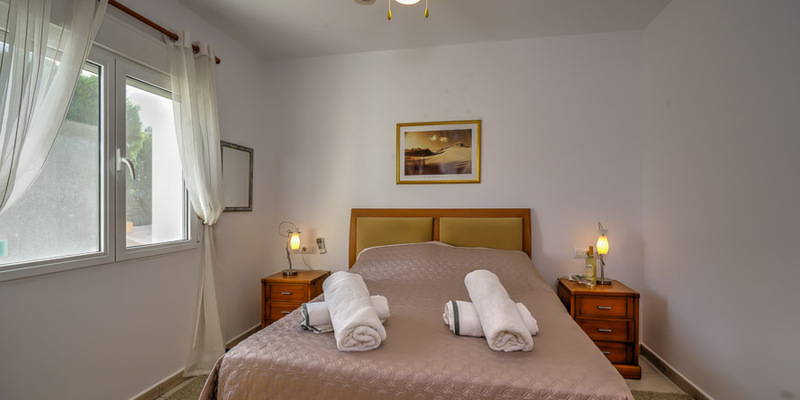 All the bedrooms have air conditioning and one has an en-suite bathroom with double sinks, bath with a shower over and a toilet. 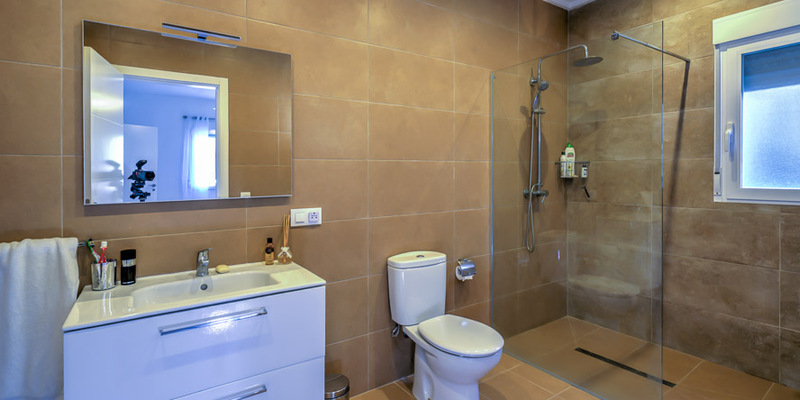 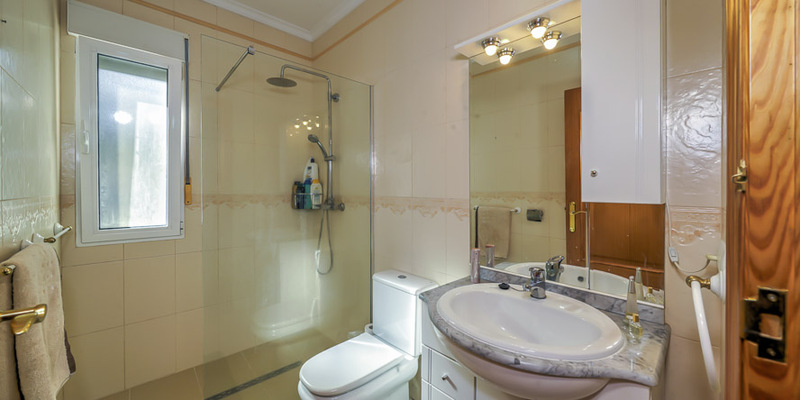 The other three bedrooms share the shower room. 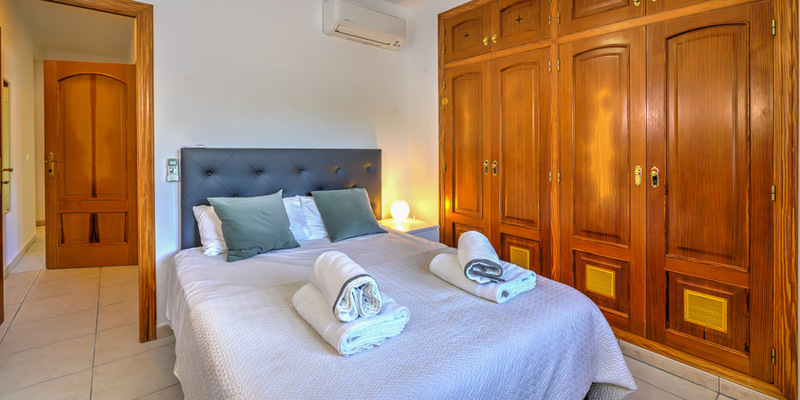 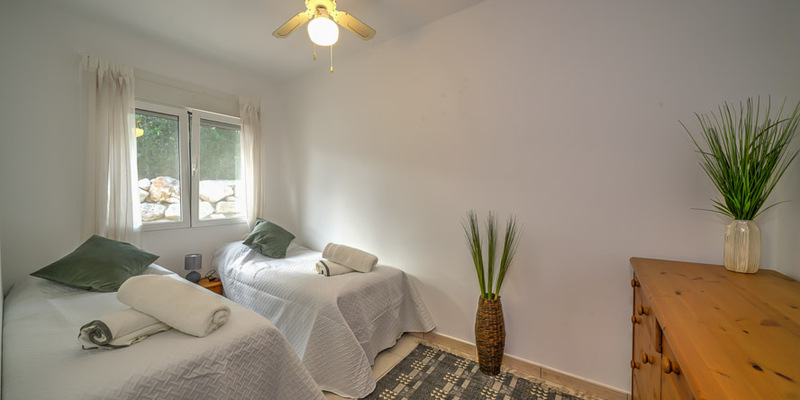 The master bedroom suite is on the lower level of the villa and is accessible from inside the villa. 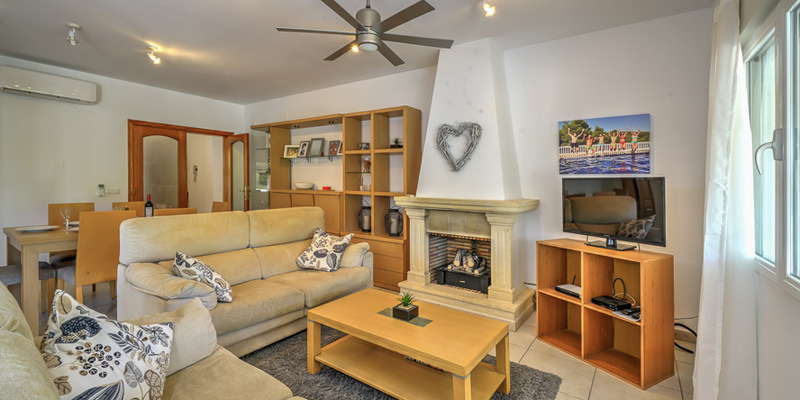 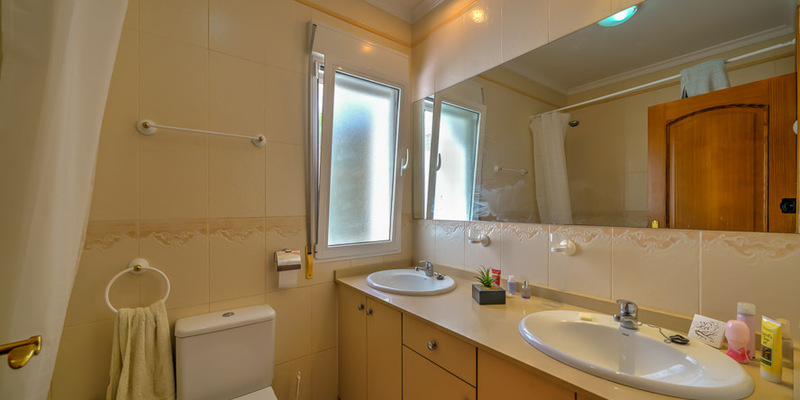 It comprises of a king size bed, an ensuite shower room and a sitting room / table tennis room. 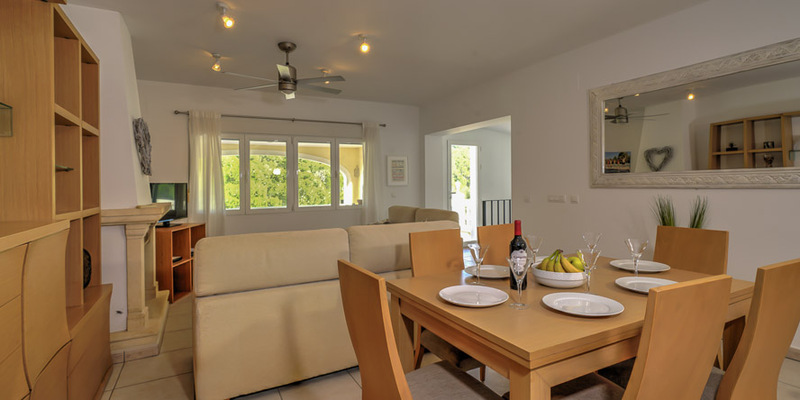 The master bedroom suite leads directly out onto the pool terrace area. 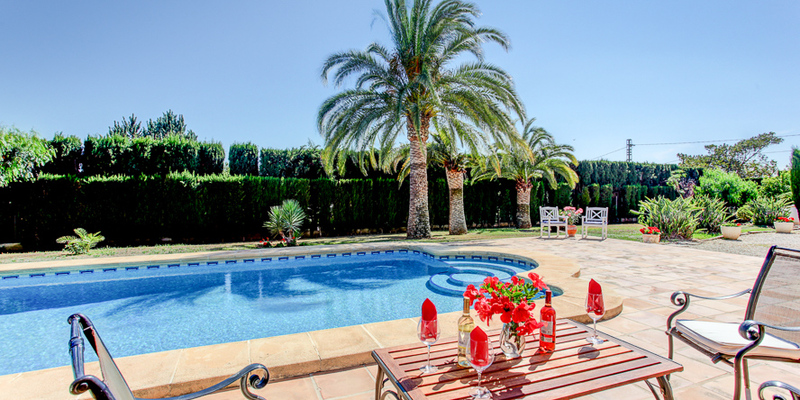 Externally the rectangular shaped pool is the center piece of the garden and offers beautiful views to the woods and the valley. 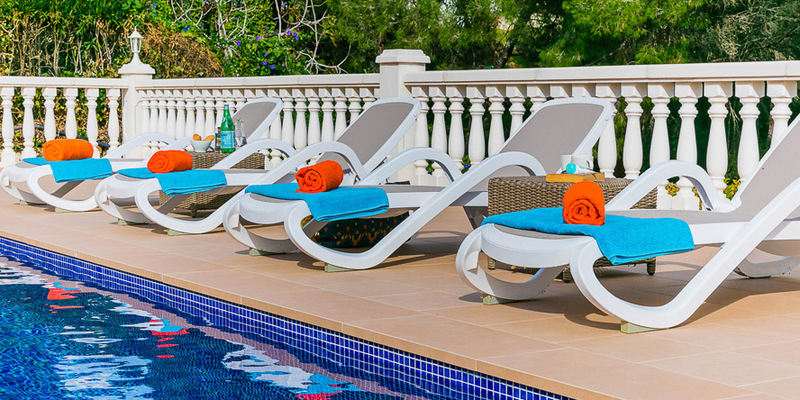 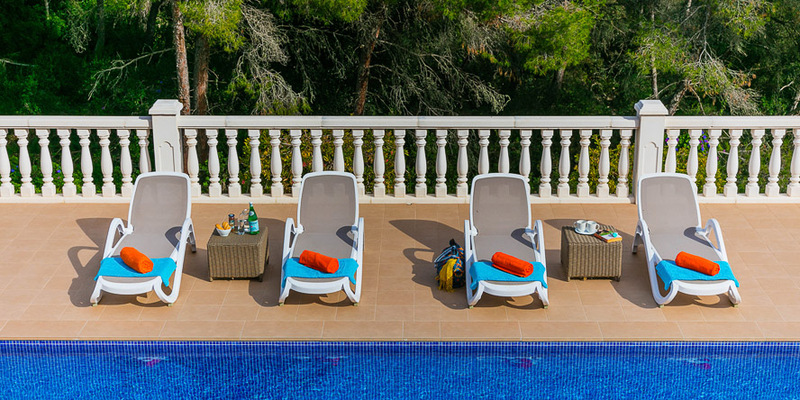 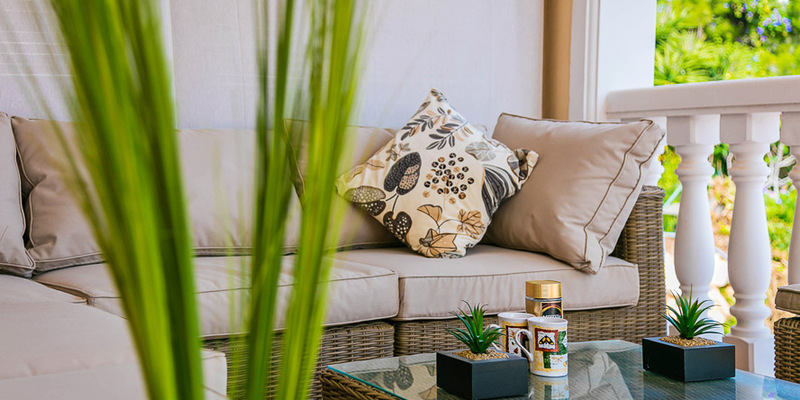 The naya and gardens are furnished for sun bathing, BBQs and al fresco dining. 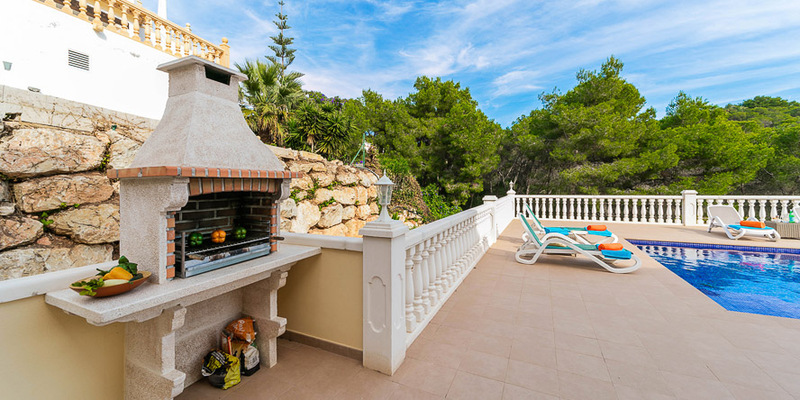 There is a charcoal BBQ and a kitchen area to make the most of the outside pool area. 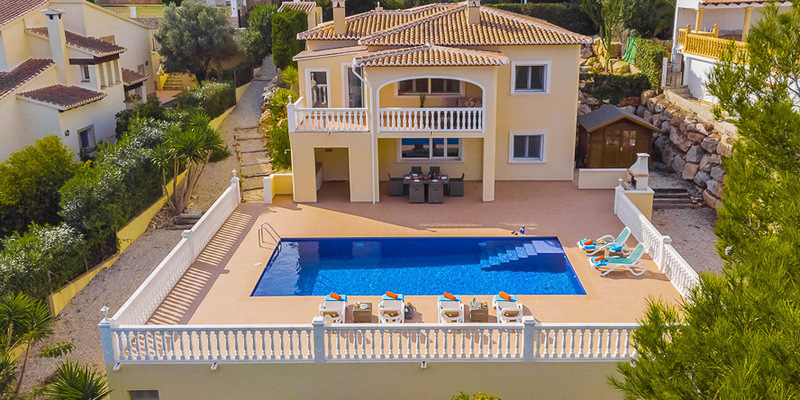 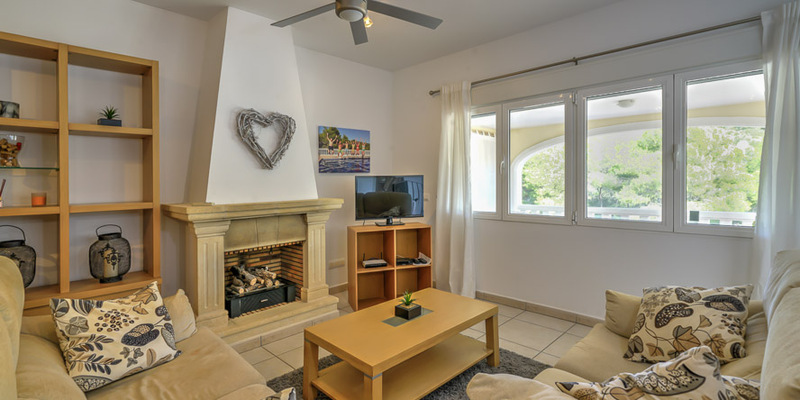 The villa is securely gated and offers secure parking within the grounds of the villa. 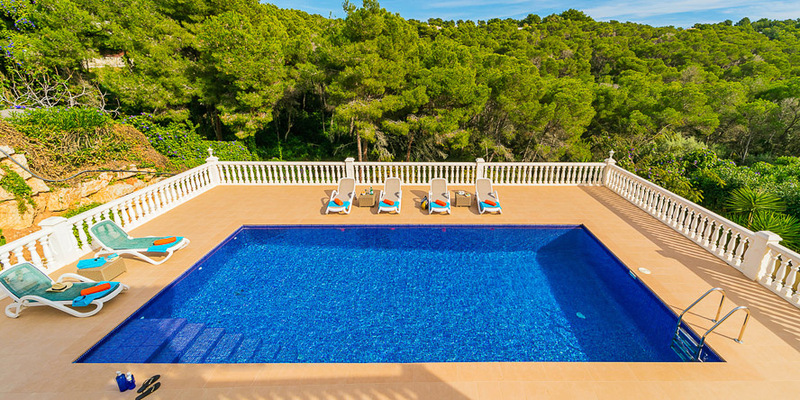 It offers a beautiful swimming pool, table tennis, wifi and air-conditioning. 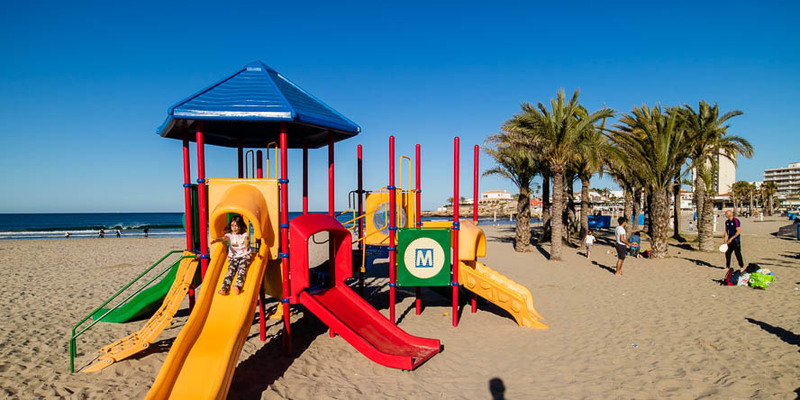 The nearest beach is Ambolo at 2km, Granadella at 4km (free shuttle bus operates in the summer months) and Arenal at 6km.